Vintage Burn™ is a highly effective thermogenic fat burner that speeds up the body’s metabolism and converts stored fat into energy without wasting muscle. 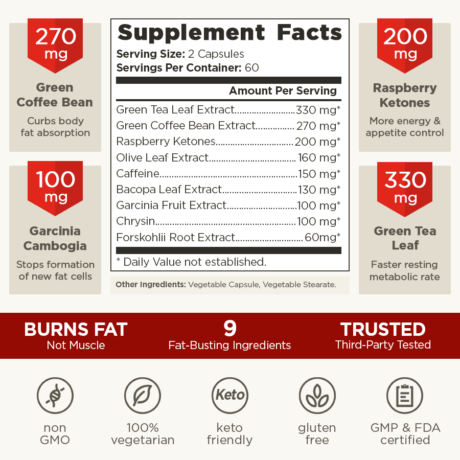 Vintage Burn™ starts working immediately on driving weight loss using exclusively premium ingredients hand-selected for their purity and potency. Only natural, safe and effective ingredients make the cut into Vintage Burn™. 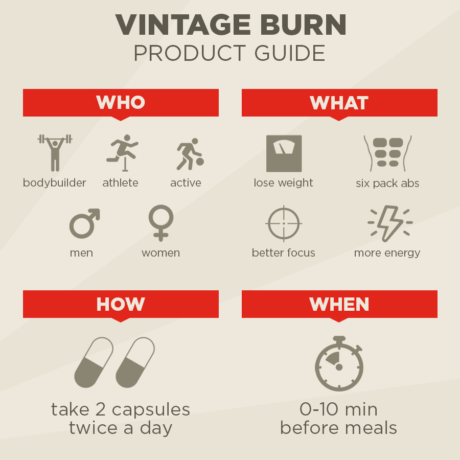 Vintage Burn™ is uniquely formulated to spare muscle and strength while promoting weight loss. This allows you to retain your hard earned muscle. Vintage Burn™ also acts to improve your focus and mood safely and naturally. This helps you manage your diet and health goals more effectively, as well as power through more intense and productive workouts. Vintage Burn is part of our Fat Loss & Diet supplements range. We created it because achieving a balanced, head-turning musculature should never come at the expense of your health. Weight loss supplements can help you lose weight by suppressing your appetite, increasing your metabolism, and giving you more energy to work out. However, they don’t distinguish between fat and muscle. And, losing muscle – which burns three times as many calories as fat per pound – means losing your best weapon for burning more calories. This makes future fat loss harder. 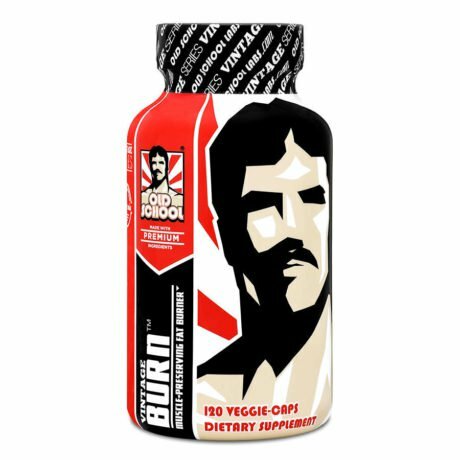 Vintage Burn is a thermogenic fat burner specifically formulated to preserve muscle to give you real and continuing results. It can also improve your mental focus, mood, and pre-workout energy. So stop wasting time, money, and muscle – and start optimizing your weight with Vintage Burn today! At Old School Labs™, we set out from the start to be a premium and uncompromising brand, delivering exclusively premium products. We sell our products directly to you and are therefore able to afford including only the best quality ingredients in all our products. 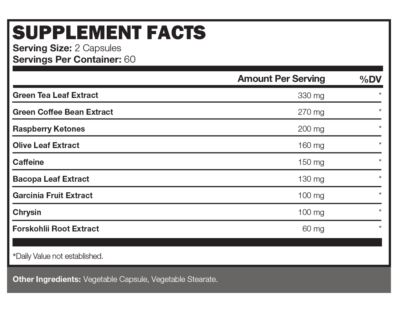 Press More to read about the ingredients you will find in Vintage Burn™ in descending order of weight. Activates your fat mobilization by elevating your body’s resting metabolic rate. Also provides you potent antioxidant benefits, helping you be in good health to allow for intense fat burning. Not only improves your mental mood and focus, but also safely curbs your body’s fat and glucose absorption from food intake while sparing the protein you need to support lean muscle. Increases your metabolism and energy levels and helps control your appetite. Controlling your appetite to eat the right foods is an important factor in a smart & sustainable fat loss plan. Fires up your metabolism by boosting your level of active thyroid hormones safely and naturally. Also loaded with healing properties that can be beneficial to aid recovery from exercise. A known catalyst of metabolism and thermogenesis, caffeine will help you break down fatty acids and manage your appetite. It will also increase your alertness and focus to help you stay on track for fat loss. Inhibits the metabolic slowdown associated with dieting to ensure that your fat loss rate stays optimal. Also helps lift your mood up, which is important yet often overlooked when working on fat loss. Reduces your body’s formation and storage of new fat cells and ignites thorough fat burning. Also helps curb your appetite for carbohydrates, which can go a long way to helping you lose fat. Preserves your hard-earned muscle by safely ensuring that natural estrogen levels in your body stay at optimal levels. Spared muscle leads to a higher resting metabolic rate, which also supports fat loss. Powerfully sparks the breakdown of stored fats and the release of fatty acids while sparing muscle and strength. 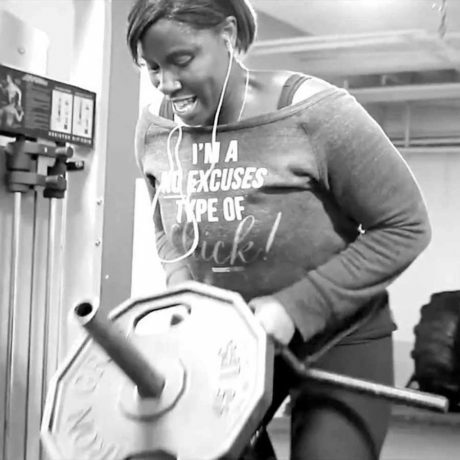 Keeping your strength while losing fat allows you to keep training hard and getting results. The highest quality vegetable based stearate is used to ensure that each and every capsule contains the same amount of fat burning and muscle preserving active ingredients. As a dietary supplement, healthy men and women take 1 capsule twice a day with meals for 3 days to assess tolerance. Continue with 2 capsules twice a day with meals. Avoid taking on an empty stomach or less than 4 hours before bedtime and do not exceed the recommended dosage. If you experience discomfort, discontinue use and contact us for a full refund. For best results, use for 60 days in combination with diet and exercise. For healthy adults only. Consult your physician prior to using this product if you are pregnant, nursing, taking medication, or have a medical condition. Do not use if seal is broken. Avoid taking on an empty stomach or less than 4 hours before bedtime. If you experience discomfort, discontinue use and contact us for a full refund. Contains caffeine: too much caffeine may cause nervousness, irritability, sleeplessness, and, occasionally, rapid heartbeat, dizziness, nausea, and stomach pain. Keep this product and all supplements out of reach of children. 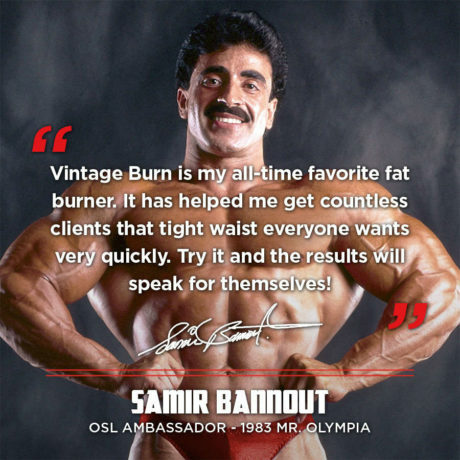 Do I have to be a male bodybuilder to use Vintage Burn™? 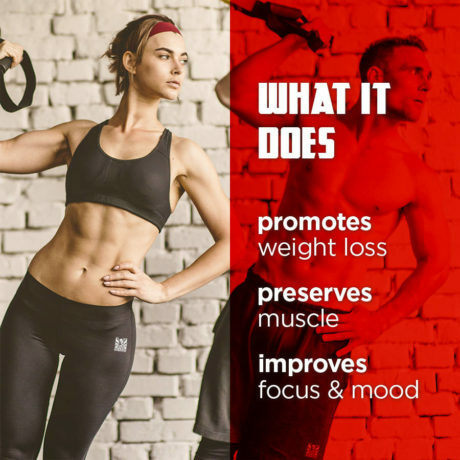 Though male natural bodybuilders love using Vintage Burn™, it will work just as well for any man or woman who wants to lose fat and get a lean physique. Most people start to feel Vintage Burn™ working from day 1, the appetite suppression effects are felt around 3-4 days in, and around the 2 week mark is when you will start to see real differences in the mirror – where it counts! Will Vintage Burn™ help me get rid of belly fat? It is scientifically proven that your body burns and adds fat everywhere in the body – including your belly. So, yes. Will I feel Vintage Burn™ working? You will feel jitter-free, clean energy and will notice a positive change in your mood and improvement in your ability to focus. So you will not only see Vintage Burn™ working through the results you are getting, but will also enjoy feeling it work. Can I take other supplements alongside Vintage Burn™? You can definitely take other supplements alongside Vintage Burn™; we simply recommend that you count the caffeine in each serving, equivalent to about 1.5 cups of coffee, as part of your total daily caffeine intake. Should I take a break after finishing a bottle of Vintage Burn™? To keep getting maximal results from Vintage Burn™, take a 1-2 week break after two months of continuous use. By doing this, your body will be re-primed to experience the full fat burning power of Vintage Burn™. Why do I need to take more than one capsule a day? The active ingredients in Vintage Burn™ simply do not fit into one capsule. And although these days some “one capsule a day” fat burners are marketed as “convenient and effective”, they are only truly effective at convincing customers to pay the same price for less active ingredients. Is there anything I can do to increase my fat loss with Vintage Burn™? At Old School Labs™ we follow the Golden Era guidelines of splitting clean meals into smaller portions consumed throughout the day, staying hydrated, and enjoying a healthy lifestyle that includes high intensity weight training. These tried-and-tested principles will go a long way towards increasing your fat loss with Vintage Burn™.